By using this product you prevent significant muscle breakdown otherwise known as muscle catabolism. This means you will be able to recover quicker and significantly reducing muscle soreness for the following days. You will also gain a tremendous amount of energy through the nutrients it provides, which will greatly reduce fatigue throughout the day when consumed and through your workout. 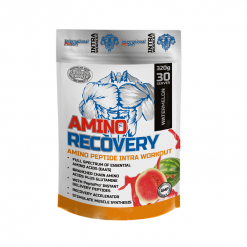 Amino Recovery works to enhance muscle recovery as well as minimise muscle soreness following an intense workout. This formula works to provide rapidly absorbing and easy to digest amino acids and peptides so that your muscles are getting that extra help to recover. The BCAA’s in the product act as an anti-catabolic while also working with PeptoPro hydrolysed casein to enhance muscle recovery. 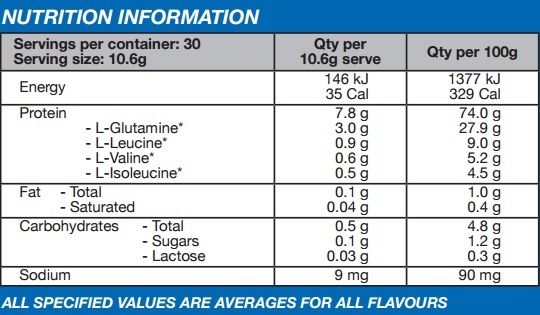 PeptoPro hydrolysed casein has been shown to reduce muscle soreness and promote muscle growth.